MONDAY – At least it’s over! Got a case of The Monday’s? Did you figure out what PC LOAD LETTER means? Us neither! Stupid printers! We feel you deserve a drink for putting up with work all day and not going to jail. Congrats Avs!!! Helluva win and series! #NHLHistory!! It’s a Funtastic Friday! Come watch the Avs on sound as they try to close the series against Calgary!.. Join us for Game 3 of the Nuggets playoff run! Tip off is at 7pm. 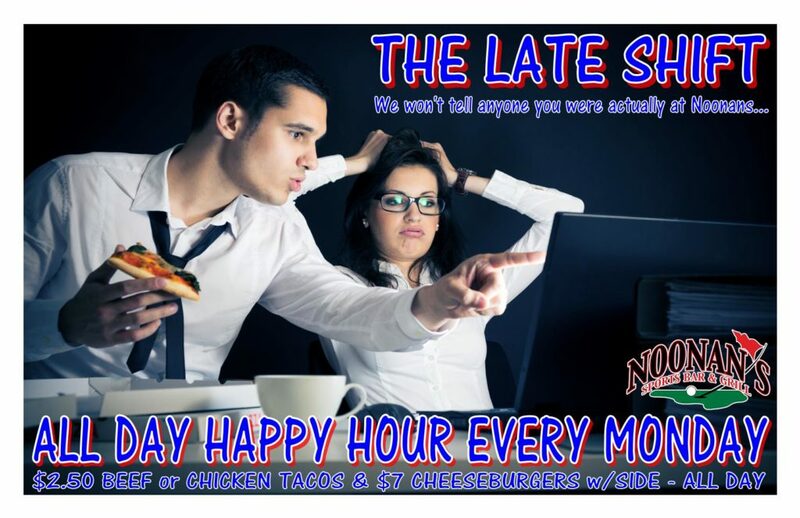 We will have the game on sound and..
Noonan's Sports Bar and Grill - Where there's always something happening!